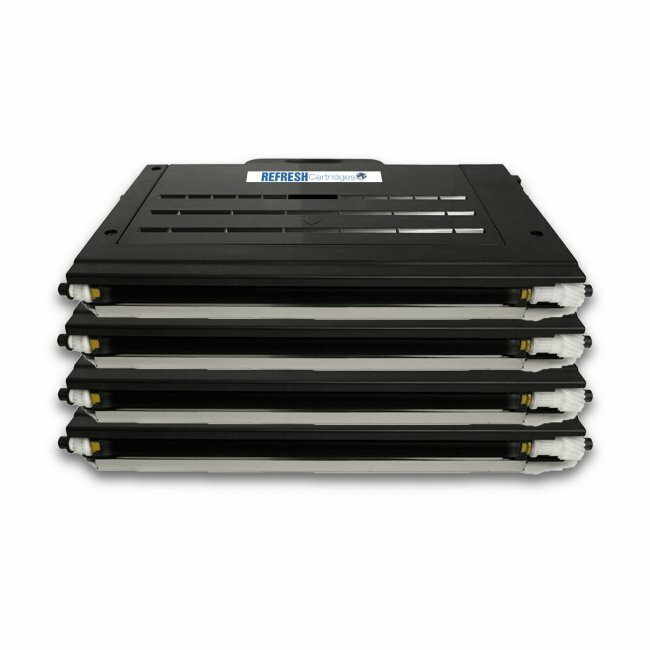 This rainbow pack contains one each of our remanufactured versions of the Samsung CLP-500D7K, CLP-500D5C, CLP-500D5M and CLP-500D5Y toner cartridges. 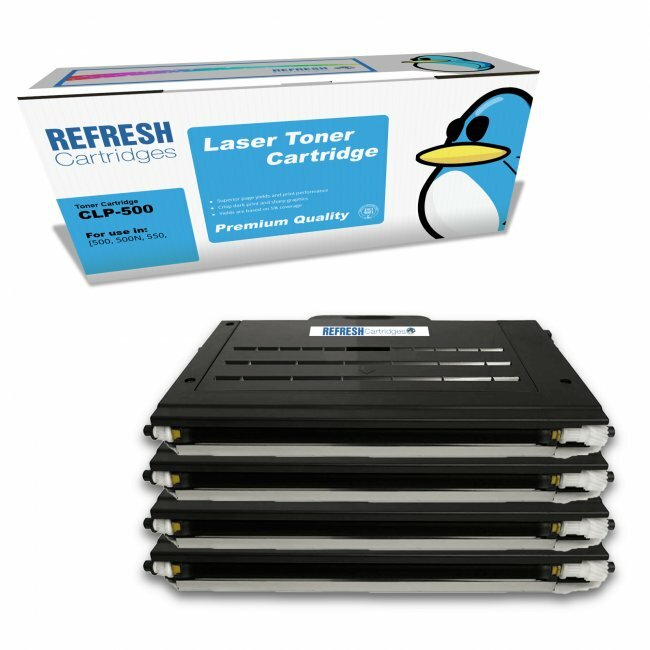 With the same high page yield as an original Samsung CLP-500D toner our remanufactured cartridges are fantastic value. 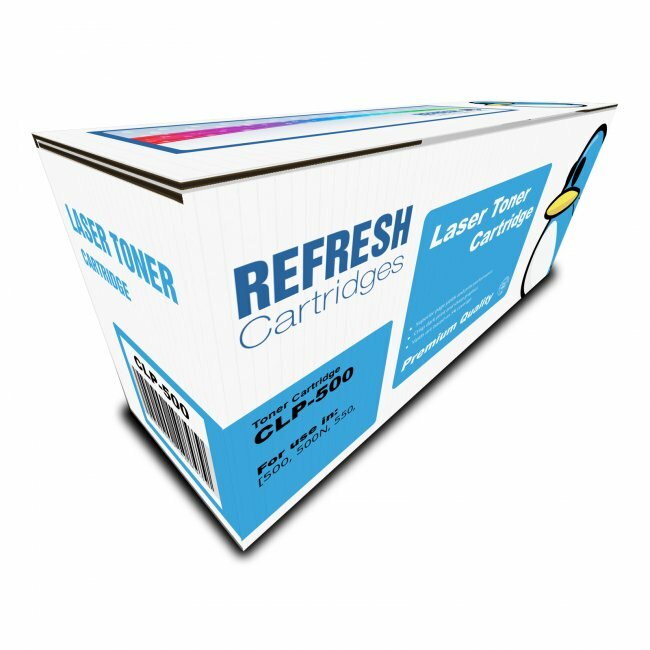 Compatible with many printer including the Samsung CLP-500 and CLP-550N laser printers these remanufactured Samsung CLP-500 toner cartridges offer exceptional print quality at a low price. The prices of our remanufactured Samsung CLP-500D toner cartridges include VAT, free delivery within the UK and our 100% satisfaction guarantee.